Present your Klook voucher of this activity at the Sulwhasoo Flagship Store to get a 5% discount on purchases over USD100! Visit Seoul’s largest aquarium and see the incredible diversity of aquatic life around the globe across a series of themed discovery zones. 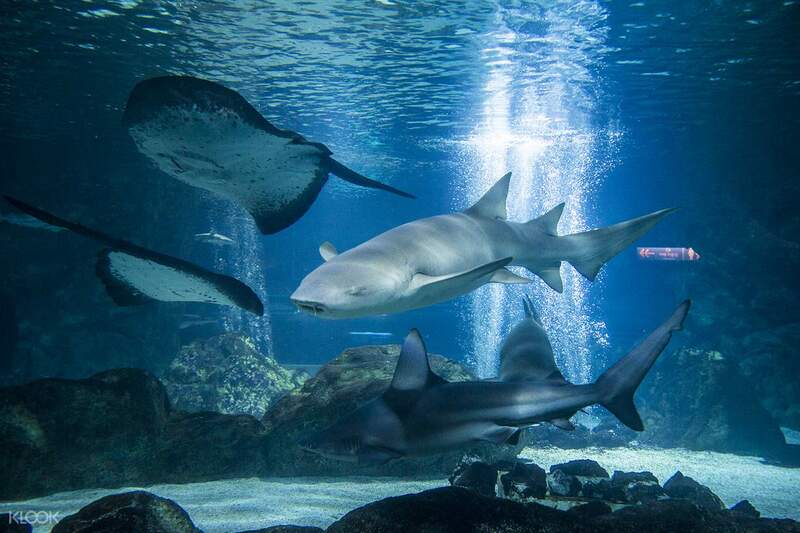 Located in the heart of Gangnam District, the Coex Aquarium showcases 650 species of marine animals from the heights of the Andean mountains to the depths of the Amazonian rainforest, in ecosystems ranging from rivers and swamps to the deep sea. 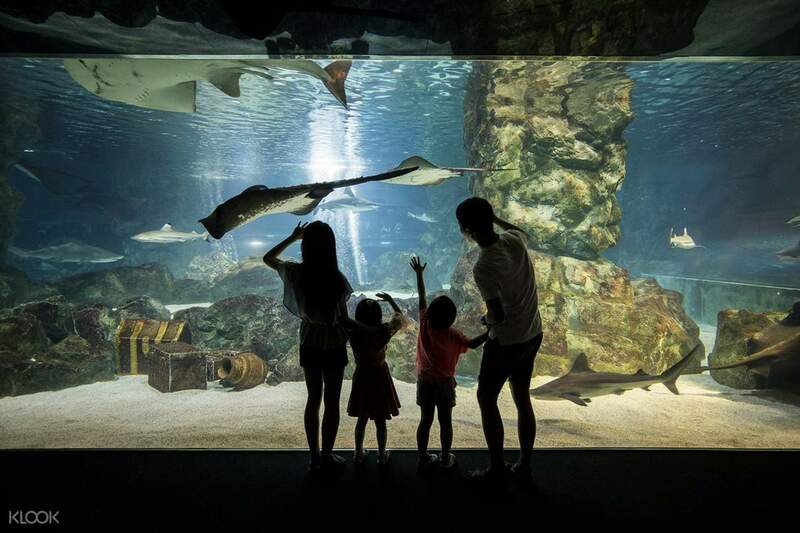 Bring the entire family as you explore the various exhibits featuring 40,000 sea creatures housed in 183 display tanks and 90 breeding tanks holding over 3,500 tons of water. You can see live sharks, turtles, stingrays, electric eels, octopus, sinister-looking piranhas, pulsating jellyfish, and more. 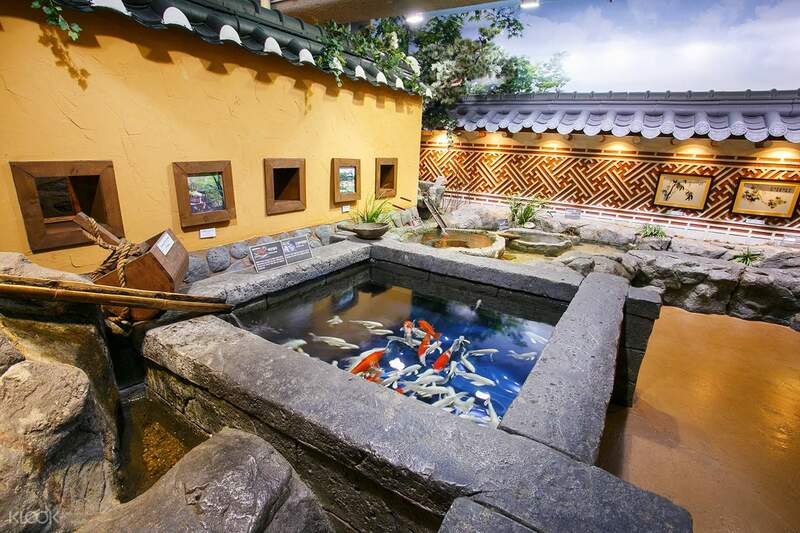 The aquarium has multiple rest areas as well as an open-top water tank that releases anions where you can make a pit stop and relax from all the walking. 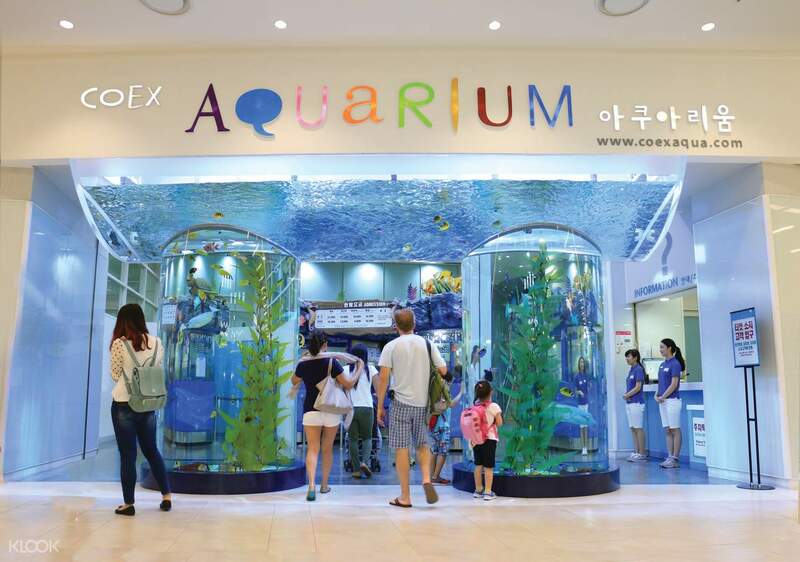 The Coex Aquarium is the perfect destination for kids (and adults!) of all ages. Spend a fun-filled day of discovery with the entire family! Location closed to station and bus station, very convenient. The Aquarium was above standard, lots of fascinating species of water animal, fishes and even shows how they ate made. It was fantastic, especially the innovative fish tanks in refrigerator, in sink, in toilet bowl, in telephone booth. Even adults had lots of fun, my kid loved it so much, it was worth to go. Also the souvenir shops has lots of good items at cheap price that is good to buy. Location closed to station and bus station, very convenient. The Aquarium was above standard, lots of fascinating species of water animal, fishes and even shows how they ate made. It was fantastic, especially the innovative fish tanks in refrigerator, in sink, in toilet bowl, in telephone booth. Even adults had lots of fun, my kid loved it so much, it was worth to go. Also the souvenir shops has lots of good items at cheap price that is good to buy. I wasn’t expecting much from an aquarium in a mall. I thought it would be small but when I got there, I was pleasantly surprised. First, I went there on a weekday and there were no lines. It wasn’t too crowded and the aquarium was very clean. The pickup for the tickets was easy and smooth. Would definitely recommend it. I wasn’t expecting much from an aquarium in a mall. I thought it would be small but when I got there, I was pleasantly surprised. First, I went there on a weekday and there were no lines. It wasn’t too crowded and the aquarium was very clean. The pickup for the tickets was easy and smooth. Would definitely recommend it. It inside coex mall follow arrow signboard after you exit no 7 Bongeunsa Station. Easy to redeem ticket at kaunter. Get to see feeding time of fav animals. Recommend to see after 1pm above due to feeding time. It inside coex mall follow arrow signboard after you exit no 7 Bongeunsa Station. Easy to redeem ticket at kaunter. Get to see feeding time of fav animals. Recommend to see after 1pm above due to feeding time. The Coex Aquarium was a nice visit and luckily we went pretty well-timed in there and managed to see the shark-feeding and also the underwater show. It’s amazing how many different kinds of aquariums were to be seen in there and area after area it got better and better. The under water tunnel was super pretty and the staffs highly motivated in what they were doing. It is definitely a great place to go with kids. 10/10 would recommend again. The Coex Aquarium was a nice visit and luckily we went pretty well-timed in there and managed to see the shark-feeding and also the underwater show. It’s amazing how many different kinds of aquariums were to be seen in there and area after area it got better and better. The under water tunnel was super pretty and the staffs highly motivated in what they were doing. It is definitely a great place to go with kids. 10/10 would recommend again. Klook redemption ticket process was easy, I bought the ticket on the spot and was able to use it immediately. It was slightly cheaper than buying at the counter, plus you can earn Klook points! When I went that, it wasn't crowded at all, so I could take my own time in the aquarium. It is an excellent place to go to either you're alone or with kids. The place is well maintained, the animals look happy and healthy. Klook redemption ticket process was easy, I bought the ticket on the spot and was able to use it immediately. It was slightly cheaper than buying at the counter, plus you can earn Klook points! When I went that, it wasn't crowded at all, so I could take my own time in the aquarium. It is an excellent place to go to either you're alone or with kids. The place is well maintained, the animals look happy and healthy. It was such a great place for the whole family. Lots of sea creatures for all to enjoy - some you got to look at and others you got to touch!! Also an educational trip, with good information on all the sea creatures. Recommended for kids and adults. 2 hrs to get around, longer if you make the feeding sessions. It was such a great place for the whole family. Lots of sea creatures for all to enjoy - some you got to look at and others you got to touch!! Also an educational trip, with good information on all the sea creatures. Recommended for kids and adults. 2 hrs to get around, longer if you make the feeding sessions.